It's no coincidence that the deadly fire at the mall in the Russian city of Kemerovo resulted in 64 deaths. Fire safety standards in many public buildings in Russia is routinely ignored by officials, while public behaviour often goes dangerously close to criminal in its negligence of fire hazards. When I was an exchange student in Russia in 2007, our university dormitory kept us locked in at night, with a very angry babushka guarding the exit (for our own safety apparently...) and the fire escape door on the 8th floor looked rusted shut. Smoking was officially prohibited, but no one took any notice. We used to smoke at the end of the hallway on a small balcony, but rather than toss our butts out the door, we simply threw them down the garbage chute. Sometimes dozens in one go from a smouldering trash can. It's amazing the place didn't go up like a torch. 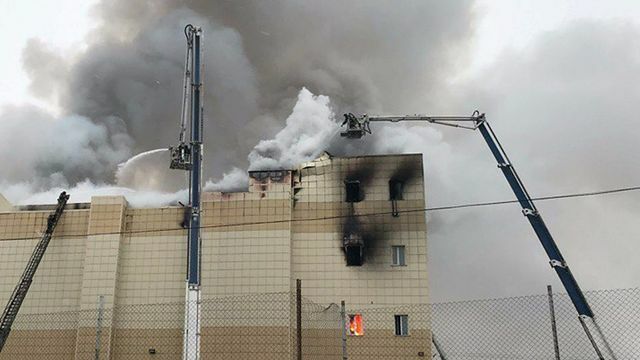 Until the authorities, companies and the public take the danger of fire much more seriously we can expect events like those in Kemerovo to continue.